Staff at Life of Purpose Cherry Hill. From left: Devin Reaves, Monica Frank, Justin Taylor, Jimmy Hatzell. Credit: Matt Skoufalos. 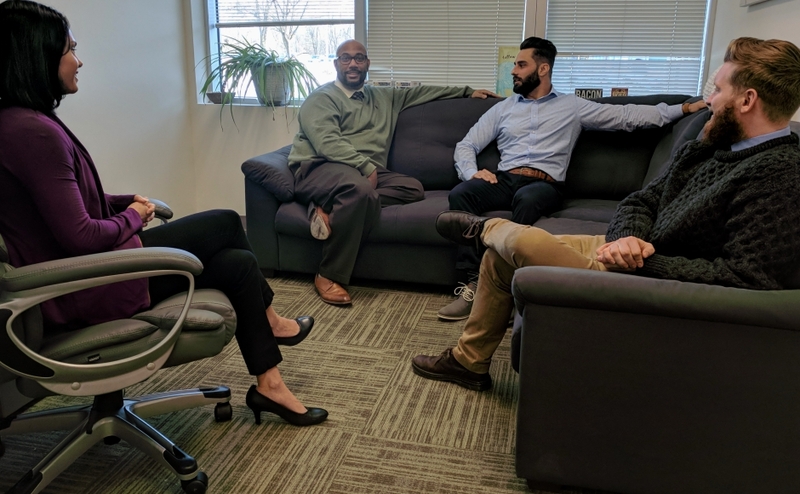 A new behavioral treatment model aims to connect young adults in recovery with the skills to help them develop an academic future. 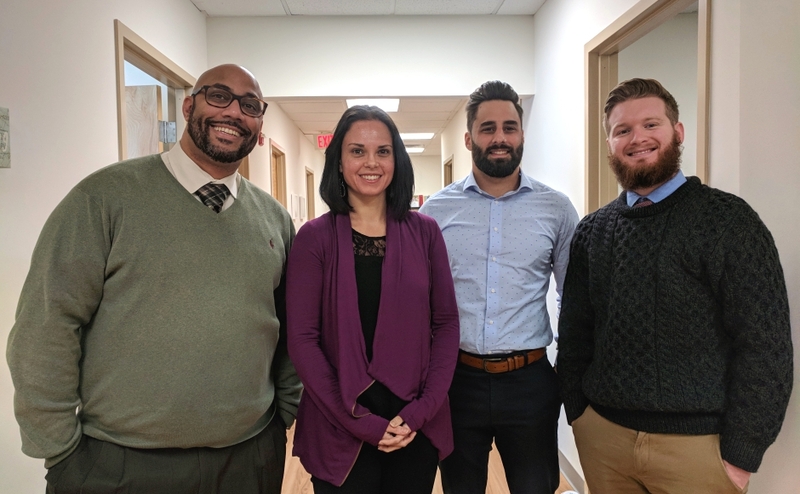 From left: Monica Frank, Devin Reyes, Justin Taylor, and Jimmy Hatzell at Life of Purpose Cherry Hill offices. Credit: Matt Skoufalos. For patients in recovery, managing addictive behaviors is just the first step in a long rebuilding process. Creating a sense of self beyond those issues involves developing the tools to be a successful, independent adult. 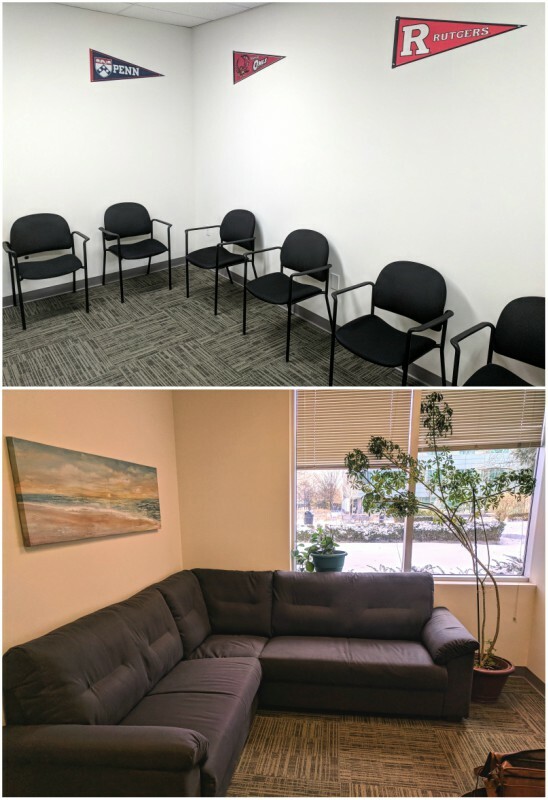 Through the lens of academics, however, Life of Purpose, a new outpatient treatment center in Cherry Hill, seeks to help those in recovery to succeed clinically and academically at the same time. “We believe that if somebody has a reason to stay sober, then the results are going to be better,” said Jimmy Hatzell, the center’s Chief Technology Officer. “If we can help [clients] develop their own idealized version of themselves that is a productive member of society, that seeks success, that is a college graduate or part of a union, that finished trade school, [then] we can really jumpstart the recovery process and engage a client clinically,” Hatzell said. The Cherry Hill location is the first in New Jersey for Life of Purpose, which originated in Boca Raton, Florida on the campus of Florida Atlantic University, and has a Tennessee State University-adjacent location in Murfreesboro, Tennessee. With some 100 academic institutions in the Philadelphia metro area, the company foresees a built-in network for its services here. The offices at Life of Purpose have group and individual counseling settings. Credit: Matt Skoufalos. The Life of Purpose treatment program is intended for 18-29-year-olds with an interest in vocational or higher education. Clinically, the center operates at a step down from inpatient care, with programs offering three to 20 hours of daytime care per week. Some of that comes in group support, some of it in one-on-ones with clinical director Monica Frank, and some with academic case management director Justin Taylor. Frank said her role is to help patients to unlock some of their underlying issues around addictions, including family dynamics and cognitive behavioral concerns. She wants her clients to develop a well-rounded sense of self that will serve them beyond their recovery. “It’s an age group that I’m very passionate about working with,” Frank said. Taylor said that by providing clients with the supports they need to get back on track academically, he can show them that many people are invested in their recovery. By helping navigate admissions and enrollment hurdles and providing academic and clinical support, the center will create “a community of encouragement,” he said. “Going back to college can be extremely intimidating,” Taylor said. “It’s necessary to really encourage [clients] to seek further than what they’ve been or where they’ve been. 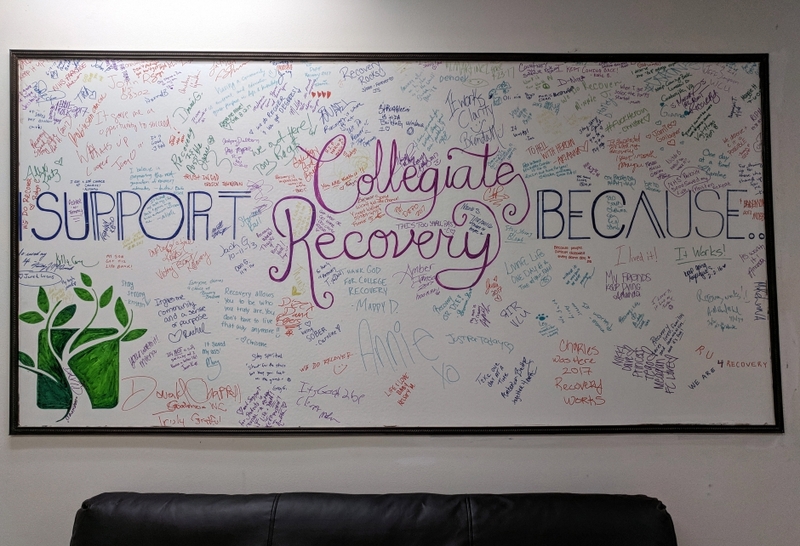 A piece of art in the Cherry Hill offices of Life of Purpose contains the signatures of students encouraging support for collegiate recovery programs. Credit: Matt Skoufalos. “I’m invested in you as your case manager,” he said. “I’m invested in you to go back to college. The invitation to succeed can be empowering, said Life of Purpose Executive Director Devin Reaves. By providing pathways to academic achievement, Reaves said the center is modeling an opportunity for a stable adult life for its clients. “We help people maintain their early stage of recovery and point out the mountaintop,” Reaves said. Reaves said his clients can also take advantage of on-campus supports for students in recovery. Programs at many institutions throughout the area offer supportive housing for students with behavioral health issues as well as counseling services. Life of Purpose aims to be “a connector between recovery and school,” Reaves said. “When you open the door and invite someone to walk through it, it’s empowering,” he said. Life of Purpose is located at 2 Executive Campus, Suite 120, in Cherry Hill. For more information, call 856-452-3620 or visit lifeofpurposetreatment.com. The center opens January 19 with a ribbon-cutting at 12:30 p.m.